Creating a macOS Mojave bootable usb stick works just as with Sierra and High Sierra before. You can simply follow the instructions below to create your own bootable installer medium. 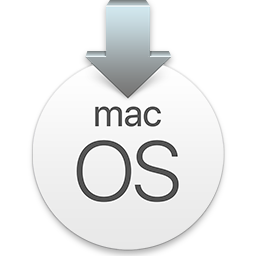 This walkthrough will demonstrate the exact steps necessary to create a boot installer drive for the beta version of macOS Mojave using a USB flash key or a similar thumb drive. You need a USB flash drive of at least 8GB or larger, which will be formatted and become the MacOS Mojave installer volume. Log in to your Apple developer account and download the macOS Mojave installer helper. This will allow you to download the beta from the App Store onto the Mac and have the Installer app located in the /Applications/ folder. It needs to be in the /Applications/ folder because the command syntax assumes that is the application path. As far requirements go, having a USB flash drive and the beta version of macOS Mojave are all the tis necessary, though having some degree of patience will be helpful because it can take a while to successfully create the boot installer. Remember, this is going to erase the USB flash drive and turn it into a bootable installer for Mac OS 10.14. Do not use a USB flash drive that you don’t want erased. Connect the USB flash drive to the Mac, then rename the USB drive to “MojaveBootInstall”. You can pick a different name just be sure to edit the command to reflect that. Double-check to confirm the syntax is accurate, and remember the USB drive is going to be erased in this process, then hit the Return key to start creating the macOS Mojave USB installer media. Enter the admin password into the terminal if requested. Let the process run it’s course, this will take a while depending on the speed of the target flash volume. When you see “Done” on screen, the task is complete and you can quit Terminal. Once the macOS Mojave installer has been completed, the USB flash drive will be named as “Install macOS Mojave” and it’s ready to be used. If you open the volume you’ll see the typical Mojave installer app.